So you’ve made the decision to move home – how exciting! Moving to a new home and a new city is an amazing and fun experience for the whole family, but we all know that the moving process itself is up there with some of the most stressful things you can do in life. The packing, the cleaning, the organising – it’s little wonder so many of us dread it! But what about the furry friends in our life, sometimes it’s easy to forget that this can be a difficult time for them as well. That’s why it’s important to plan ahead and put some measures in place to make sure the move is as relaxed and smooth as possible. It’s important to start preparing your pet’s travel arrangements early, particularly if you are moving overseas. So that you have one less thing to worry about, let us take care of the entire process for you! Jetpets will take care of all your pet travel needs to and from any location within Australia or across the globe. Your pet’s comfort and safety is our number one priority. Our Pet Travel Consultants will find out all about your VIPs (very important pets) and provide expert advice on preparing your pet for travel. Our team will also help you decide on the best-sized travel crate and share some handy hints on how to familiarise your pet with it, so that they’re nice and relaxed in it come moving day. Next, we will book your pet on the most direct flight and arrange a comfort stop along the way if need be. We can also arrange a door-to-door service, so that you pet can be chauffeured straight to your new home to meet you there. It’s important to ease pets into their new environment by paying close attention to their habits. In particular, cats need to be kept indoors for them to slowly familiarise themselves to their new home. Watch our video for some handy hints on settling them in to their new environment. 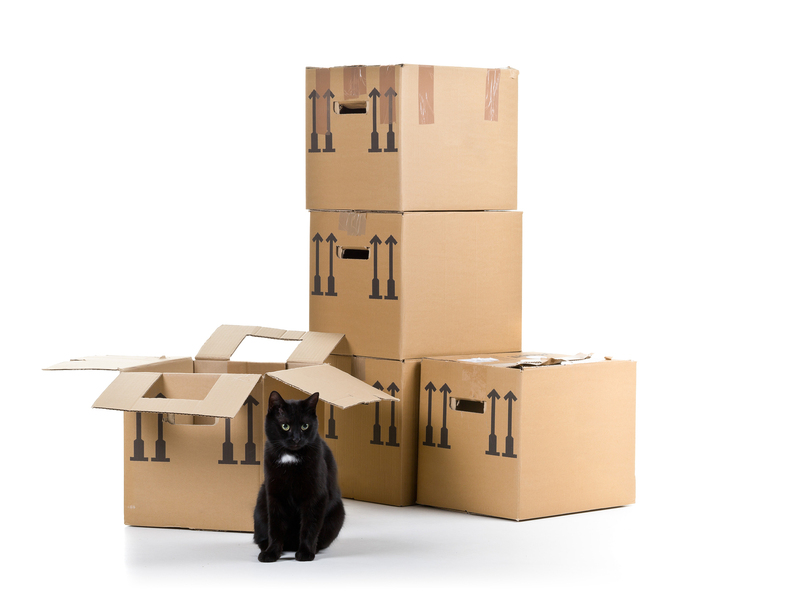 Need some advice on moving home with your pets? Contact our Pet Travel Consultants today.